Wednesday Wish List- Up to 30% off Necklaces & a Giveaway! Happy Hump Day! 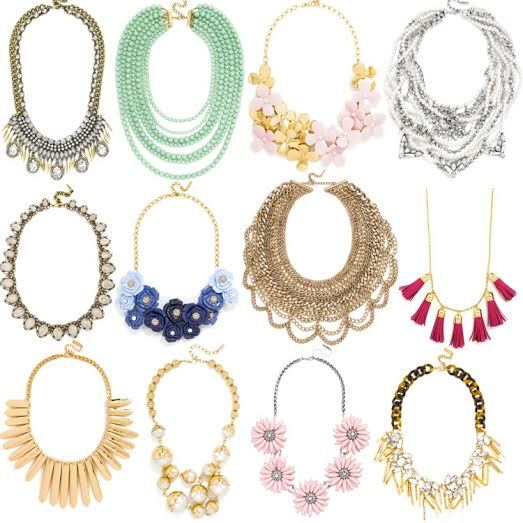 Y’all know I love a good statement necklace, & a majority of mine are from Baublebar. I’m excited to announce that TODAY ONLY you can get up to 30% off necklaces, & all shipping & returns are free! Buy 1 necklace & get 20% off with code NECK20. Buy 2 or more necklaces, get 30% off with code NECK30. You can shop my favorites by clicking on the corresponding picture below, or shop all necklaces here. I love throwing on a statement necklace over a plain tee to spice up any outfit- it’s my absolute favorite way to wear them. It’s the fastest & easiest way to make a blah outfit look chic! Go snag yourself some statement necklaces while this great deal is going on as it doesn’t come around often. Tons of these necklaces come in multiple colors as well. It’s almost Valentine’s Day after all, & don’t we deserve to buy ourselves a little something that will get a lot of use?! 🙂 There’s also a great giveaway happening below for your chance to win a $500 shopping spree, so don’t miss out! PS- this promo is valid on all necklaces with the exception of sale items & Maya Brenner.